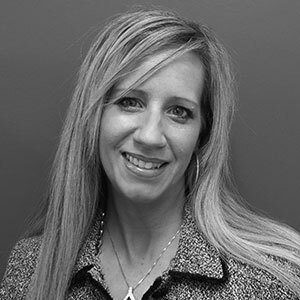 Rebecca has been contributing to the Spine Industry for almost 17 years representing some of the largest and well-known orthopedic companies such as: DepuySynthes Spine, Zimmer Spine, Biomet Spine, Spinal Elements and the complex spinal deformity company named Medicrea. Rebecca worked for one of DepuySpines top contributing U.S. distributorships and she also managed her own biologics distributorship. She has extensive product knowledge, has mastered the sales side, has won the honorary Presidents Award from DepuySpine and many other sales awards in her career relative to various implant sales contests (most interbody devices sold, cervical plates, Healos biologics, etc.). She had the unique opportunity to transition from Sr. Sales Representative, to Sr. Product Marketing Manager at Medicrea. At Medicrea she enjoyed contributing to the global marketing team who meets in Lyon, France every few months to discuss and implement unique sales strategies and product launches. She genuinely enjoys working with surgeon customers, hospital personnel, OR Nurses and technicians, industry professionals, and everyone else who makes the spine world go-round. Through MSC, she has found a way to share both her knowledge and passion for Spine, and the Spine industry as a whole, by joining the highly regarded Medical Sales College in 2012. Rebecca is MSC’s Vice President of Spine Education. She continues to develop extremely dynamic, challenging, and comprehensive courses at MSC. Rebecca has also designed and taught corporate training programs for several Spine companies in the industry. Her courses are challenging, but the results don’t lie as her graduates continuously impress the spine industry. Rebecca is a highly requested instructor, thanks to her extensive spine background knowledge, energetic and motivational style teaching, and passion to help professionals take it to the next level.